This folder should be on your boot drive at that location and it has the uninstaller scripts for the products you have installed - at least on my system this is the case. Otherwise, I believe you can run the Cormelt installer again to uninstall their plugins. 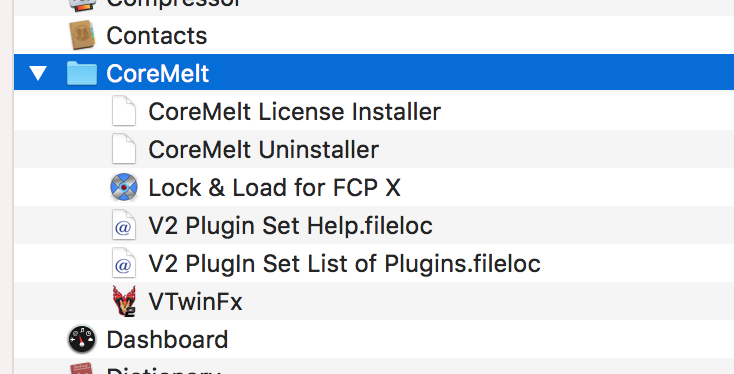 In the applications folder, you’ll find a Coremelt folder. There is an uninstall folder inside. This has a few uninstallers. Run the one you need:) Hope this helps.